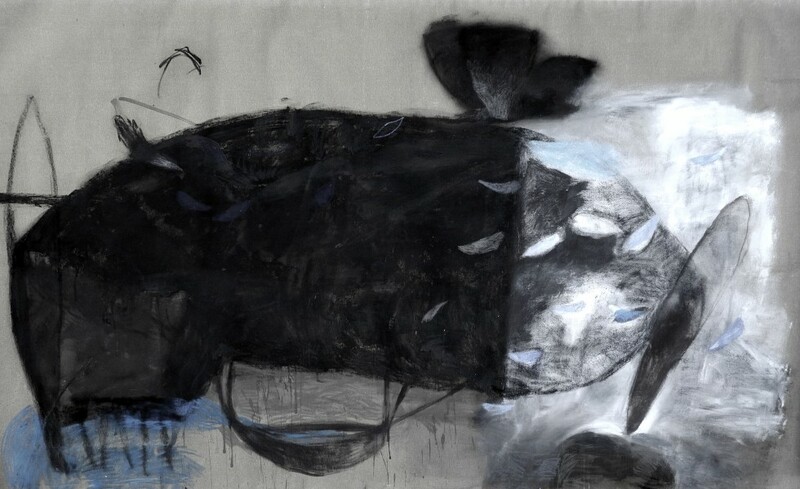 Beginning February 4, Hanes Gallery will present a body of new work by Italian artist Gianni Cestari, who has interpreted Italo Calvino’s book Invisible Cities in paintings, works on paper and video, making evocatively and provisionally “visible” the places Marco Polo describes to Kublai Khan in Calvino’s text. As part of Wake Forest’s Silk Road Project and in collaboration with the Museum of Anthropology and ZSR Special Collections, each of which will host their own exhibitions, emblematic objects will be shared at each venue: Cestari’s portraits of Polo and Kublai Khan will be in Special Collections; his depiction of a Tang Dynasty vessel will be at MOA. An illustrated version of Invisible Cities by artist Wayne Thiebaud will be shown in the Hanes Gallery, as will an actual Tang ceramic piece. Gianni Cestari’s work takes its initial impetus from fables of the “exotic,” revealing them to be in part our projections of an “imagined other,” distant in time and place. And yet in the often oblique but precisely imaginative torque of Calvino’s text, Polo is also exotic to Khan. The explorer’s phantasmagoria of purportedly visited cities is just as captivating to the Mongol leader as Polo spinning yarns and weaving metaphors – inside the labyrinth of the fiction constructed by Calvino – is for us. Cestari’s project assumed its own explorations; of expression, imagery, media and approach. While these works frequently include text and word fragments, their incompleteness in the context of the images only serves to highlight his fascination with the ineffable and the mysterious. For Broken Shadows, Cestari periodically employs the image of the Labyrinth – based on an actual one created in a field of maize – as a metaphor for the disorientation of the City. Emphasizing the provisional and multiple character of views captured in motion, many of Cestari’s works appear in the square “Polaroid” format, like the snapshots of 1970’s tourists. March 21, Hanes Gallery, 5-7pm: (in)Visible Cities. Presentation and discussion with Italian language students and professor Roberta Morosini about Italo Calvino’s Invisible Cities and Gianni Cestari’s work in response to it. March 28, Hanes Gallery, 5pm: Silk Road WFU Gamelan performance (organized by Elizabeth Clendinning) in Hanes Gallery, before the Silk Road Ensemble concert; Gianni Cestari present. March 29, Hanes Gallery, 5-7pm: Reception for Gianni Cestari, with Chinese Ensemble performance (Jennifer Chang and students, 5:30 – 6:15). 6:15 gallery walk-through with Gianni Cestari (with student interpreter). For the public and Silk Roads conference participants. Curated by Paul Bright in collaboration with the artist.